New Delhi: Red Hat, Inc. (NYSE: RHT), the world’s leading provider of open source solutions, today announced the opening of two new offices in Bangalore and New Delhi. These offices mark the company’s continued commitment to enabling customer success with open hybrid cloud solutions in India. 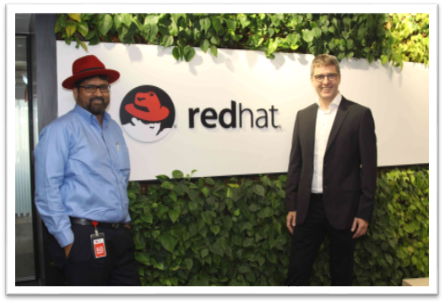 With the opening of the new offices, Red Hat is expanding its footprint in India with a goal of supporting interest for open source solutions and services from customers and partners and further promoting the benefits open source solutions can offer enterprises in India. Red Hat now has six offices in India, including additional facilities in Bangalore and New Delhi, and offices in Mumbai and Pune. Red Hat’s new Bangalore office is a 14,000 sq. ft. facility at Lavelle Road. It is designed to act as a training and enablement center for customers and partners. Through the new facility, which features a cafeteria, and space for networking, meetings, training and certification exams, and an indoor game zone, Red Hat aims to bring its open, collaborative culture to life. The additional New Delhi office is a 12,405 sq.ft facility located close to the international airport at Aerocity, designed with an eye toward enabling collaboration with customers throughout the region.